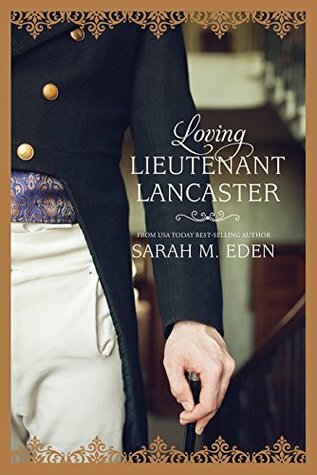 Getting Your Read On: Loving Lieutenant Lancaster by Sarah M. Eden + $25 and Book Giveaway! Loving Lieutenant Lancaster by Sarah M. Eden + $25 and Book Giveaway! I always, always look forward to Sarah Eden's books. My heart and mind have come to know exactly how her books feel because Sarah Eden's book definitely do have a certain feel to them. It's so gentle and the words flow effortlessly. One of the things I love best about Sarah Eden's books is how she makes characters come alive. They are real to me; flawed, hurting and sometimes broken but no matter how they come, I always end up loving them. By the end of the book I feel as though I know these characters intimately and personally. It's my favorite thing. I loved that I got to see so many old friends from previous books. It lends itself to such a familial feeling. This is a slow moving, gentle story. It flows beautifully but won't leave your heart racing. I was invested from beginning to end. What a great addition to this series. I cannot wait to read what comes next. Hopefully it will be the youngest Jonquil brother, Charlie, because he was a major player in this book and I'm all kinds of intrigued by him!